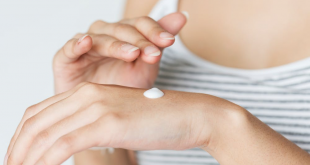 If you’ve had a near-perfect complexion for most of your life and now suddenly you’ve started seeing small, soft tissue growths on your skin, chances are you’ve become a little concerned and perhaps even self-conscious about them. If you think you’re alone in this predicament, then let us inform you that around 25% of people will develop skin tags at some stage of their lives, usually after the age of 50. They can be defined as small bits of tissue that protrude through the skin and can usually be seen on the neck, back, chest, armpits and even on the breasts. Their real name is fibroepithelial polyps, but you probably won’t remember that. Even though they’re not usually bigger than a grain of rice and they take the color of your skin, they’re still pretty visible and it can make a person feel pretty frustrated with them. Unfortunately for women, they are the most likely targets of this, which is all the more ironical, seeing how ladies place much greater emphasis on their physical appearance than the gentlemen. So it is understandable for a woman to become stressed seeing something so unflattering on her skin, which is why we’ve decided to bring a little clarity around this issue and explore in greater detail the overall truths and misperception regarding skin tags. Even though they’ve been around for a long time, medical experts have not reached yet a clear consensus on what is causing them. There is, however, an ongoing theory that overweight or obese people have a greater chance of developing them, because of the excess folds in the skin, which cause additional friction. Since a lot of people develop these skin growths after 50, age might also be a determining factor. Previous research has also suggested that people suffering from Crohn’s disease may be at risk of developing these formations, as well as pregnant women, who experience a higher level of hormones. Some studies have also indicated that there might be a genetic predisposition for this, so if your mother or grandmother has them, you could be next. Aside from the esthetical factor, skin tags can also present a health risks. While most of the times these little buggers are harmless, there are very rare instances in which they can become cancerous. If you’ve had a skin tag for many years and its size has remained the same over time, then there’s no real reason for concern. If, however, you notice the growth changing, meaning it’s becoming larger or starting to bleed or becoming darker in color, then it’s time to see a dermatologist and find out exactly what it is you are dealing with. The doctor could then recommend a biopsy, to exclude any important illnesses and then choose the best course of treatment. Another important red flag is if a skin tag starts developing on a child, as this could lead to a rare genetic condition called basal cell carcinoma syndrome, which involves skin cancer. One of the common myths surrounding this type of skin condition is that they might be contagious. Well, we’re here to debunk this one for you and tell you that there’s currently no evidence pointing in that direction. People who venture in such claims are actually confusing them with warts, small-sized tumors caused by HPV and those are, indeed, quite contagious. Skin tags are actually moles. Even though they might look similar, they are actually two very different things. 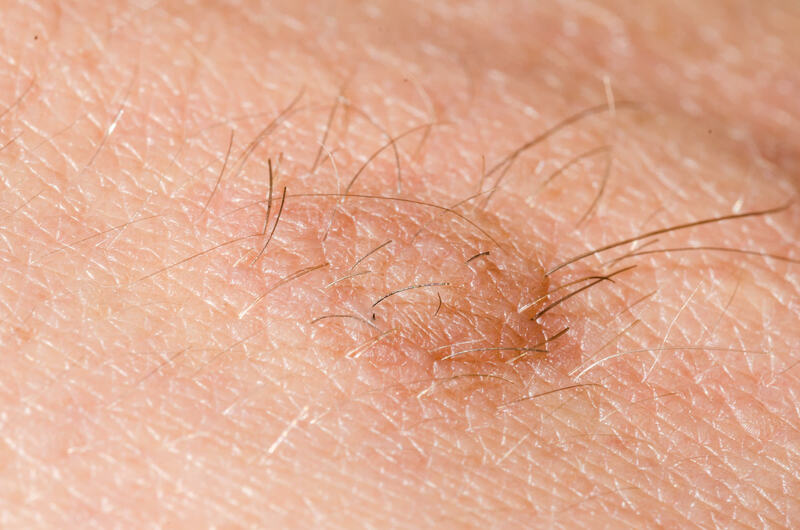 Moles typically lead to the development of melanoma, while skin tags are in most cases benign. I have skin tags, therefore I have cancer. False. While they are, indeed, tiny tumors, most of them are benign and they don’t have any impact over your health. So rest assured, you’re not going to die (but if you do continue to worry about them, you might). They only occur in old people. While it’s true that the majority of people affected by this belong to an older demographic, young people can also get them if they fall in one of the risk categories mentioned above. It is impossible to remove them, which means you are stuck with them for all eternity. Luckily, that is not the case. There are multiple ways through which you can get rid of them, which we will explore in greater detail in the next section. Removing them will cause scarring. This is also false. If the removal is done properly and by a medical practitioner, then it should not leave any kind of mark on your body, only a little redness, which will quickly disappear. Removing skin tags will actually cause them to multiply. This is one of the oldest misconceptions about this issue and probably the number one reason why many people don’t even attempt to get rid of them. Fortunately, there is no scientific proof that this will actually happen and if you do get another skin tag in the exact same spot where the previous one was, it does not have any connection to the original one. There are currently three main techniques that medical professionals use to get rid of skin tags, but before you start digging too deep into your pocket just for the sake of beauty, let’s explore some natural and effective alternatives, which you can try from the comfort of your own home. This wonder plant has a multitude of properties and has been used for thousands of years in a number of skin-related conditions. It has the ability to successfully heal wounds and even cure acne. If you have one in your home, you can simply tear some of its pulp and rub it on your skin tag. Within a few days you should start seeing the results. By now, we probably all know that drinking lemon juice can help us detoxify our bodies, lose weight and even give us a great energy boost when we’re feeling tired. What most people don’t know, however, is that it actually works wonders for the skin, as well. Besides treating acne, it can also help diminish skin tags. All you need is a cotton ball and a few drops of lemon juice, which you can then apply to your problem areas. Make a daily ritual out of it and you will eliminate those skin growths in no time. For many years, this essential oil has been a secret well-kept. It originates in Southeast Queensland and the Northeast coast of New South Wales and exhibits some amazing antimicrobial properties. It can treat a wide number of skin conditions, including skin tags. However, since it’s very concentrated, be careful not to use too much of it. Just pour 2-3 drops of it on a small cotton ball and rub it circularly on the skin tag. Repeat this process twice a day and in about a week your skin should be smooth as silk. While tea tree oil is incredibly effective, it does have a pretty strong smell, which some people might not be too fond of. Bananas may be the perfect alternative to that, if you’re also fond of eating them. If you happen to be a late night fruit snacker, after you’ve finished eating your banana, you can take a small piece of its peel and place it over the skin tag. Make sure to secure it in place with a gauze and let it work its magic for a full night. Repeat this process for a few weeks and eventually the skin tag will fall off. This amazing mixture is another great way to get rid of your trouble areas, but it will also have to be done before you go to bed. All you need to do is combine some baking soda with a few drops of castor oil and then apply the resulting paste on your skin and leave it until morning. When you wake up, you can wash it off with some warm water and then repeat this procedure for about ten days. This is also an easy and cost-effective skin tag removal technique. You will need to apply it for about 2-3 times a day for about one-two weeks and then the skin tag should completely scrape off. Just make sure to use the real fruit in the process and not some store-bought pineapple juice, because you will not know how fresh it is and what else it might contain. If you don’t mind the smell and you’re not planning on going out for a whole day, then garlic juice might also be a worthy alternative, just make sure to use fresh garlic every time you rub it on your skin. If you were able to withstand the smell of garlic on your skin, then you will probably be OK with onion, also. Once you’ve washed and cut the onion, just put it in a vessel with some salt and let it rest overnight. In the morning you can extract the juice and prepare to apply it before bedtime for at least ten days. You know that old saying “An apple a day keeps the doctor away?” My personal version involves ginger root and it’s worked out great so far, thank you very much. Yes, I’m a ginger fanatic and if you are one too, then you probably already know that this awesome spice can treat just about anything. Well, not quite, but it does have an extraordinary amount of health benefits. It can fight the flu, get rid of headaches and – yes – it can even remove skin tags. Buy some raw ginger from your local supermarket, wash it properly, cut a small piece of it and then rub it on your skin. You can use the rest of it for some nice afternoon tea. Repeat this process for a few weeks and your skin should be brand new (and your body fully detoxified). You can thank me later. Potatoes are not only an extremely cheap way of fixing skin tags, but also an effective one. What you have to do is cut a small slice, place it over the affected area and then cover it with a bandage. This will help dry it off and eventually remove it. If, however, none of these methods worked for you or you’re simply dying to get rid of them and you’re too impatient to wait two weeks in order to see some results, you should know that there are some professional methods you can turn to, which will help you get rid of skin tags in no time. All three procedures require specialized medical training, therefore you should not attempt to perform them on your own. While there are a number of so-called tutorials available online, keep in mind that trying to cut, freeze or burn them on your own could put your skin at risk of infection, which would ensue even more health complications. So as you can see, there are plenty of options available if you choose to have your skin tags removed, most of them being natural, effective and posing no risk on your health or your personal budget. However you decide to handle them, just remember that most skin tags are not life-threatening, so if you manage to get past the aesthetical aspect, you will not have to consider removing them at all.